The simple design of Slidetrack Awnings combine the best of style and operating features. Stylishly, they are unobtrusive with clean and functional lines. Available with a central locking position, with intermediate locking positions easily provided. One-handed operation – either hand-crank or motorised – to be easily used by both young and old. No ropes, pulleys, zippers or straps. The fabric is held in a unique fabric guide system that maintains perfect tension and a sealing strip or valance is at the base to keep the insects out. 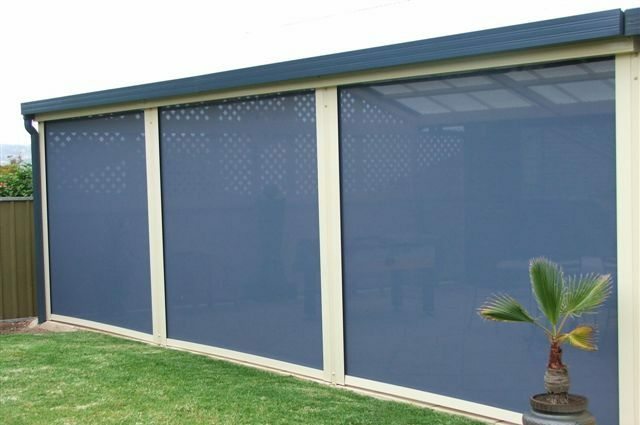 Modern Blinds is confident in customising our Awnings to suit your needs. For more information of our extensive range of Awnings please fill in the enquiry form on the right hand side or call us on 07 5591 7777 (Gold Coast) or 07 3290 5777 (Brisbane).